Tessicas is a shop which sells mainly knitting patterns, hand knitted creations or items made using plastic canvas. 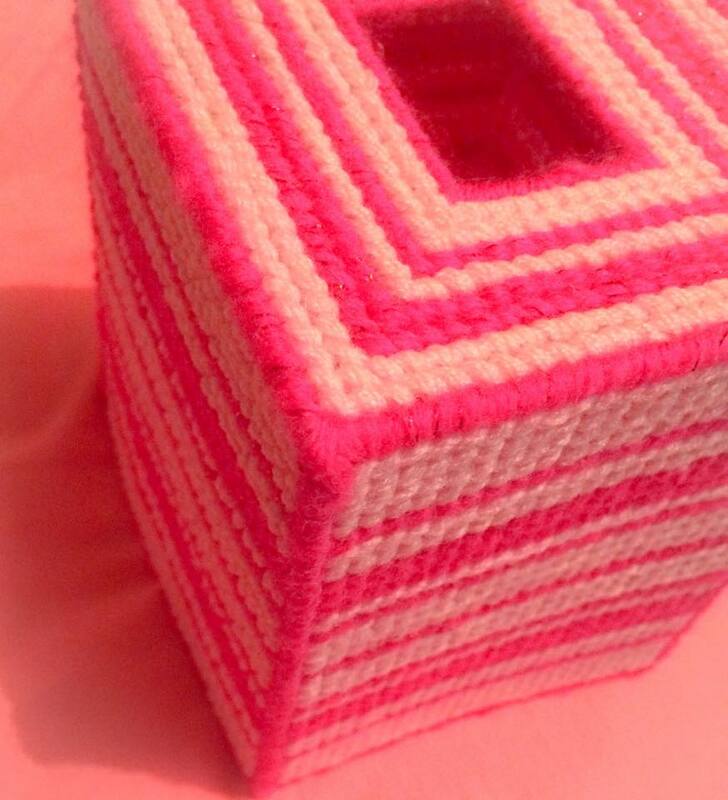 I came across the page as I was looking for a cute pink tissue box cover to live in the pink room in my new house (as you do!) and I ended up finding a really cute one which is made using pink glittery yarn. I love pink a bit too much and I knew it would look so cute in our spare room which is decorated all in pink! So I had to have it and here it is. N'aww I think it's so cute. It's really well made and nicely structured so it doesn't bend and lose form easily - it's actually super sturdy! It's all done so neatly as well, I really want to learn to knit like this, it looks absolutely perfect. There is not one fault in this piece and the glittery pink yarn looks so pretty. After ordering, this item was shipped to me within a couple of days so you can rely on Tess to get everything dealt with swiftly for you.